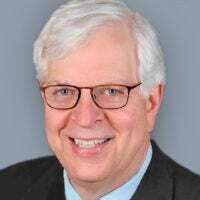 Dennis Prager is a columnist for The Daily Signal, nationally syndicated radio host, and creator of PragerU. I am writing this column to inform readers of some good news. The sustained efforts of individuals, organizations, and the media who oppose everything people like me stand for—America as an exceptional nation among the nations of the world; the unique contribution of the Judeo-Christian value system in shaping America and the best of Western civilization; sustaining Western civilization as a moral imperative; preserving the American Trinity of liberty, In God We Trust, and e pluribus unum; promulgating the American and Judeo-Christian belief that race is insignificant; and an openness to all points of view—to shut down my conducting appearance with the Santa Monica Symphony Orchestra at the Walt Disney Concert Hall Wednesday night have failed. As of this writing, besides two rows, the 2,265-seat hall is sold out. In it, I described the efforts of some members of the orchestra and some of Santa Monica’s political leaders, including an ex-mayor, to persuade orchestra members to refuse to play and persuade people to refuse to attend the concert. The New York Times and NPR published derisive articles about me, and the Los Angeles Times published two such pieces. Yet, despite all that, the intolerant ones lost—and lost big. First, Disney Hall is nearly sold out. And with every seat costing between $40 and $100, a significant amount of money will be raised for the orchestra. Second, only about seven of the orchestra’s 70 players refuse to play. Moreover, many other musicians asked to join the orchestra that night, including members of the Los Angeles Philharmonic Orchestra. 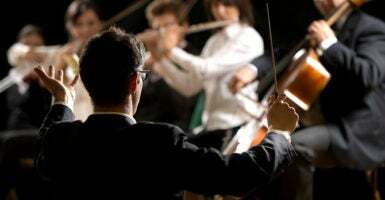 Third, the orchestra’s widely admired and loved conductor, Guido Lamell (who is also a violinist with the Los Angeles Philharmonic), and the orchestra board of directors held firm. The board, located in one of the most liberal-left cities in America, unanimously stood behind me after the letters and articles attacking me came out. This was particularly significant, since they had only narrowly voted to invite me—5-to-3—in the first place. To their everlasting credit, these people put the interests of the orchestra, music, and tolerance ahead of their political and social views—and they did so well before they had any reason to believe the hall would be sold out. Indeed, few expected it. So, how was intolerance defeated? I think there were a number of factors. First, to be honest, they picked a fight with a fighter. As I have sadly noted all of my life, more bad guys fight than good guys. I fought back on my radio show and in my syndicated column. I have never said a political word in conjunction with any conducting appearance I have ever made, but once the real bigots started a fight, I responded. Second, I didn’t fight alone. Virtually the entire conservative world united behind me. My column was reprinted on or linked to almost every major conservative website. Many conservative writers wrote columns on the subject. There’s an important lesson here: When united, conservatives have real clout. Third, because universities and others on the left regularly shut down non-left speech, the left has lost a lot of moral credibility. Therefore, a left-wing attempt, led by two UCLA professors, to shut down a concert conducted by a conservative was just too much—for many liberals as well as conservatives, and even for some on the left. I am convinced that is the reason The New York Times wrote an article on this issue: The left lost face in this matter, and it was therefore important to show that I really am the bigot those opposing my conducting said I am. And fourth, when people learned what was happening, they filled the hall. The left is always shocked to learn that at least half of America doesn’t agree with it. Whether at Google, UCLA, or the Los Angeles Times, these people live in an intellectual bubble—they talk with, socialize with, dine with, marry, listen to, and read only those who think as they do. In other words, while we conservatives know them well, they don’t know us at all. Why bother knowing us? We are, after all, nothing more than deplorable, hateful bigots.